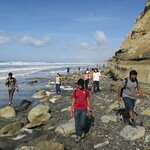 The systems and networking group at UCSD engages in a wide range of experimental and theoretical research. Our current projects span fault-tolerant networks and systems, high-speed router design, storage system design, network measurement and traffic analysis, peer-to-peer system design, network security, mobile code architectures, high-performance cluster computing, and wireless networking. 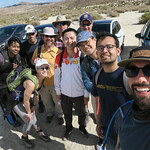 Our group consists of eight core faculty, five affiliated faculty (in a broad range of areas including security, machine learning and programming languages) and over 50 graduate students and research staff. December 17— The year ends on a high note with the fantastic news that Alex Snoeren has been named an ACM Fellow for his "his innovative approaches to measuring, managing and directing network traffic". He will henceforth be known as Packet Whisperer. 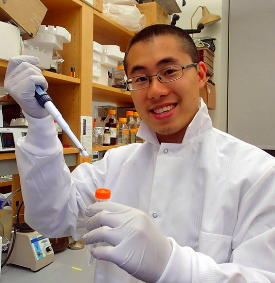 November 9— In the news! 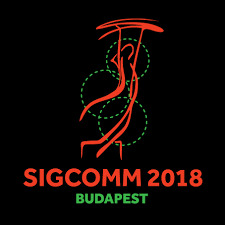 GCN highlights Lixiang Ao's and Liz Izhikevich's paper at ACM SOCC on the Sprocket serverless video processing system: "Sprocket kicks video processing into high gear". November 7— Alumna Renata Teixeira has been named an ACM Distinguished Member. Congratulations, Renata! November 1— The recipients of this year's Alan Turing Memorial Scholarship are Anton Sydorenko (senior, Computer Science) and Adrian Mendoza (junior, Computer Engineering). 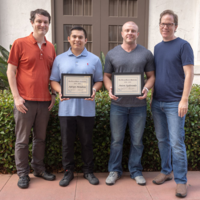 These scholarships mark the third consecutive year that the Center for Networked Systems has recognized students studying networked systems for their academic commitment and involvement in the LGBT community, and the first year that it has awarded the scholarship to more than one student. Congratulations Anton and Adrian! 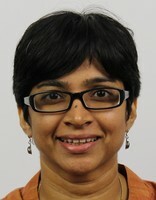 October 8— Alumna Ranjita Bhagwan and her co-authors at Microsoft Research India won a Jay Lepreau Best Paper Award for their OSDI 2018 paper, "Orca: Differential Bug Localization in Large-Scale Services". Congratulations, Ranjita! July 27— Congratulations to Joe DeBlasio, who successfully defended his dissertation today on "Countering Financially-Motivated Malicious Actors on the Internet"! At the end of summer Joe will join the ever-growing UCSD contingent at Google. May 8— Arjun Roy successfully defended his dissertation today on "Simplifying datacenter fault detection and localization". Congratulations, Arjun! 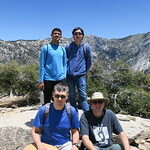 Despite rumors to the contrary, Arjun did not write his dissertation by stapling together all of his cse-misc posts (his actual dissertation is far shorter). Also: destination Google. 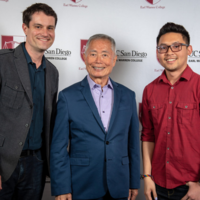 May 3— Sothyrak Srey, an Alan Turing Memorial Scholarship recipient, and George Porter had an opportunity to meet and talk about the Turing scholarship with George Takei and his husband, Brad Takei. 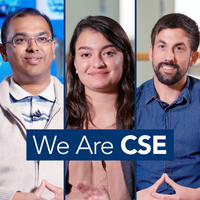 April 20— Max Mellette and Ariana Mirian are featured in "We Are CSE" on UCSD TV! March 26— In the news! 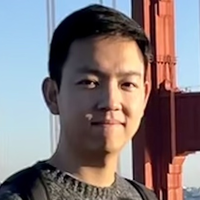 Danny Huang's paper at Financial Cryptography and Data Security on the profitability of alternative cryptocurrencies highlighted by JSOE: "On cryptocurrency exchanges, it's better to be a miner than a speculator, study finds".